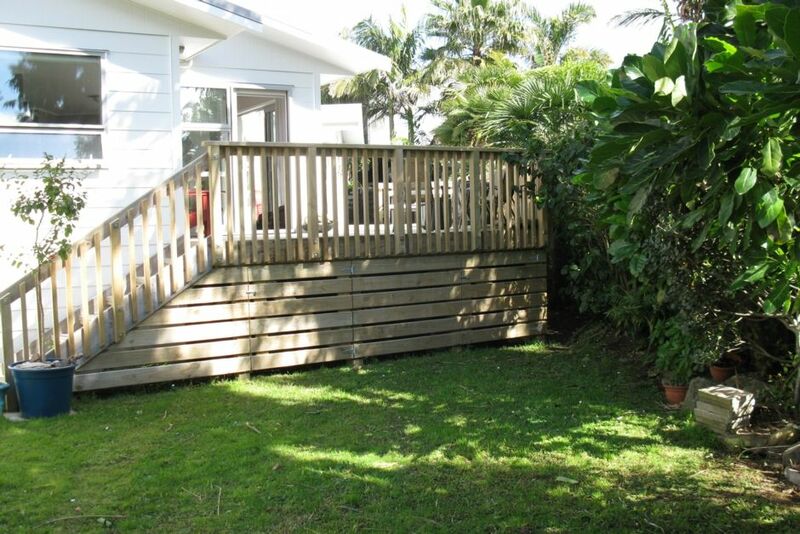 Just a short drive from major North Island centres, this newly renovated private and tranquil property has plenty of room in the open plan living area with access to the large deck from most rooms. Watch the Tui feeding and cavorting at 'eye level' in the trees around the deck whilst enjoying the afternoon sun. Just a short stroll and you can be at the beach, enjoying any one of the popular cafes or meandering through the village shops. Enjoy the scenic Hauraki Rail Trail and Karangahake Gorge from this base at the beach. Boogie boards and bikes (2) available. Listed as 2 bathrooms - NB. is not 2 full bathrooms - sep toilet with handbasin , a sep shower room and 1x full bathroom with toilet/shower/bath/vanity. Please Note feedback prior to Nov 2016 relates to our previous property , but this smaller beach house is in the same location and the same high standards are followed. Duvets andamp; pillows provided - all beds have mattress/pillow protectors - washed after each holiday let - bring your own sheets. BBQ gas bottle to be filled on departure. Cleaning is your responsibility - products provided. Remove all rubbish/bottles when vacating. Our neighbors and our neighborhood are very important to us. Please remember to be considerate to the neighbors, large parties and functions not allowed. Ideal base for Hauraki Rail Trail andamp; surrounds. Great property, modern and well maintained, maticulously presented and cared for. Suited our stay very well (2 couples) with two showers and toilets. 2 main bedrooms good size with comfortable Queen beds. 3rd bedroom though not used also goos with two singles. Decking is very generous and private, plenty of shade umbrellas on the deck to use. Would book again. Poor weather resulted in a flooded garden but Lyn phones to check if we were ok - a nice touch. Super clean and modern with comfortable beds. Super clean and modern with comfortable beds. Private deck area. Walking distance to the beach and Flat White Cafe. Great location, we enjoyed our stay thank you...would definitely return! We had a fantastic stay at this property which is a great location - close to the beach and shops.